ROFL Can you imagine if that really happened. 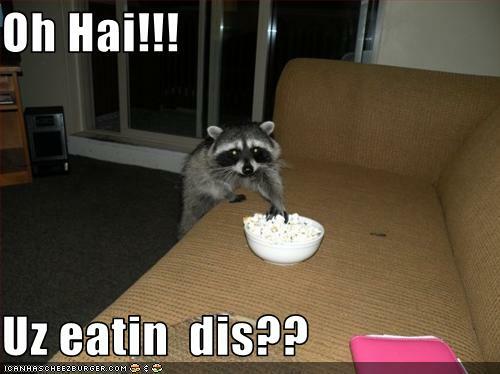 You go out of the room to grab something to wash down the popcorn only to come back and have an intruder. Yikes! I know, I laugh at it but wouldn't want a raccoon in my house. Nice sharp teeth. But clearly they were thoughtful enough to creep back to get their camera without scaring it away!